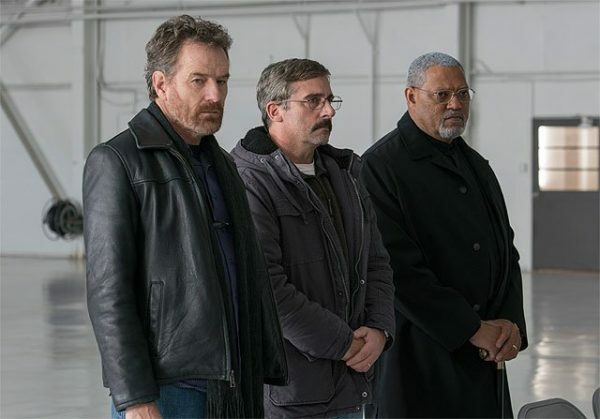 Starring Steve Carell, Bryan Cranston, Laurence Fishburne and J. Quinton Johnson. Richard Linklater is a director who specialises in on the cusp, transitional dramas. Dazed and Confused sees a group of college kids on kick out day, the Before trilogy picks up with Ethan Hawke and Julie Delpy’s characters at various crossroads points in their lives, and his masterful Boyhood is one glorious study of identity in transition as the central character grows from the age of 7 to 19 in front of our eyes. Even School of Rock culminates in the heartwarming progression from prep school snotnosers into fully fledged rock gods. 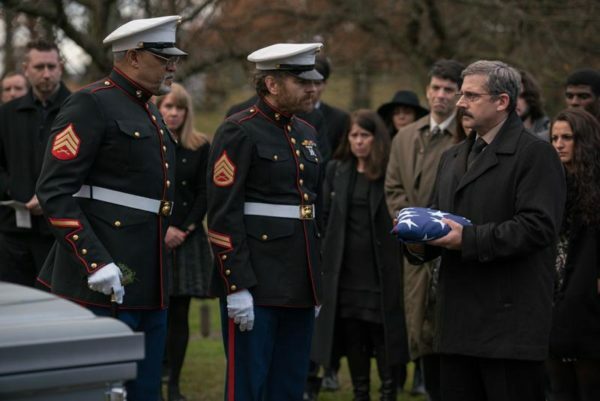 This peculiarly elusive yet engrossing obsession with the passage of time and the watershed moments in our own lives now finds another outlet in the director’s latest, Last Flag Flying. It’s two things at once: a warm look at male friendship and also a more expansive statement about America coming to terms with the Iraq war and the subsequent capture of Saddam Hussein in December 2003. As ever the specificity of the film’s period is all-important and if the connection between the personal and political is somewhat more contrived than we’ve come to expect from Linklater that doesn’t make the movie any less enjoyable. It’s based on the 2005 spiritual sequel to author Darryl Poniscan’s 1970 novel The Last Detail, itself turned into a 1973 Hal Ashby drama starring Jack Nicholson. The latter film’s roisterous, anti-authoritarian attitude is revived somewhat here by writers Linklater and Poniscan in the form of Bryan Cranston’s gregarious, bolshy Sal, bar owner, Vietnam War veteran and one part of a memorable trio that encompasses grieving father Larry ‘Doc’ Shephard (an arrestingly introverted Steve Carell) and former wild man turned preacher Mueller (Laurence Fishburne). After being apart for the best part of 30 years the three men form a fractious bond en route to burying Doc’s son, killed on active duty whilst serving in Iraq. 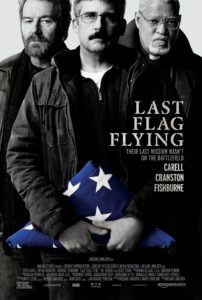 Originally intending to bury his boy in Arlington Doc finds the morality of a military burial increasingly complicated as he and fellow Vietnam cohorts Sal and Mueller are forced to weigh up the consequences of yet more senseless slaughter resulting from heavy-handed American intervention overseas. In Linklater’s movie the past doesn’t just exist. It sits like a crown of thorns atop each of the central characters, not least in the form of a shared guilty secret to which they’ll all have to eventually own up. How each of the men deals with the burden of history is where the film derives much of its energy and warmth. With his hangdog moustache and plaintive air of submission Doc is easily the most subtle and affecting of the film’s characters, Carell reminding us of his excellent dramatic chops in the likes of Little Miss Sunshine, Foxcatcher and The Way Way Back. Fishburne meanwhile has the hardest job, transforming Mueller from pious walking cliché into valued friend atoning for past sins. There’s also a nicely judged turn from J. Quinton Johnson as the agreeable, somewhat naive Marine Washington accompanying his best friend’s body on the way to the burial. Even so it’s the loudmouthed Sal who invariably draws the most attention, a fast-talking wiseacre with a drinking problem and an incessant need to divert attention from his many problems. One scene of presumably improvised humour on board a train really allows Cranston to dip back into his comic chops with Carell’s joyous response bound to get the audience in tears of laughter too. The chemistry between the main players is it’s own kind of special effect, atoning for the familiar story beats as the group make their way up the Eastern seaboard. Along the way Linklater flirts with plenty of early 21st millennium staples including a bemused deconstruction of Eminem (‘this is coming out of a white mouth?’ asks an incredulous Sal) and a fantastically funny sequence in which the three get their hands on their first mobile phones. In a lesser filmmakers hands this would seem glib and unbearably trite but Linklater is an old pro at integrating pop culture riffs without being too on the nose (last year’s Everybody Wants Some with its ‘My Sharona’ opening being a fine example). Is it anything new? Not at all. Does it have the cutting insight of the director’s finest works? Never, and indeed many might be surprised, offended even by the fuzzy, somewhat platitudinous tone of the film’s closing stages. It’s definitely a minor Linklater but even so that’s a pretty agreeable way to spend two hours, not least because the three main characters are so damn likeable.